Building a house is easy if you have space and loads of money to spend. Creating a home out of a regular trailer and on a budget takes some creative thinking and clever design decision. We’ve already shared a few of these tiny houses but none of them feels this open. Here’s how she did it. Ana White and her husband live in a remote part of Alaska, where there are no Targets, Home Depots or other stores. But that hasn’t stopped her from building ingenuous ‘tiny houses’ that showcase her creativity and innovation. 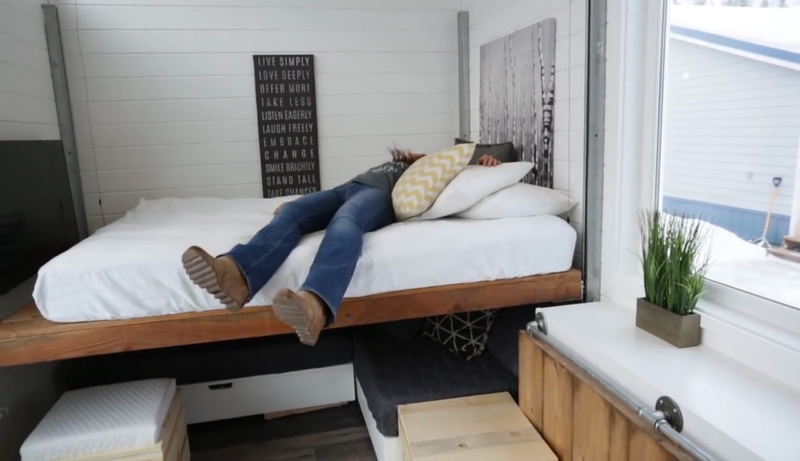 Ana builds tiny homes for clients who have unique demands and requirements. For this one particular home, she needed to fit a guest bed, as well as a comfy sofa and storage space. So Ana cut up a foam mattress, using storage bins as a bed frame, and then repurposed the mattress pieces into a sofa and bench. When a guest arrives, those pieces come back together to create a bed. 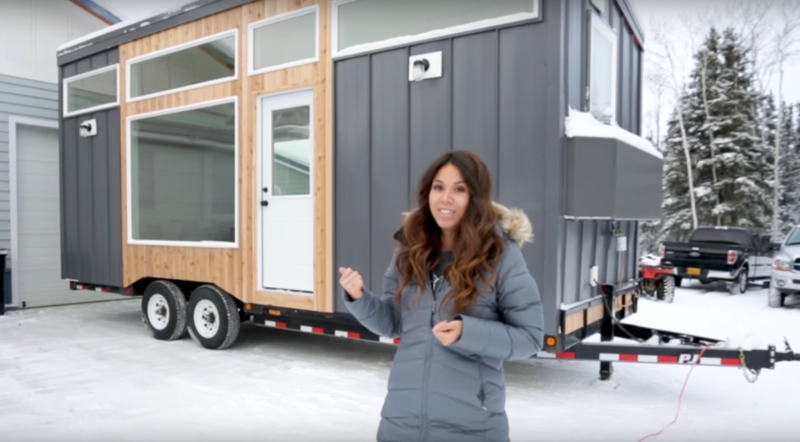 Check out Ana’s tour of the tiny home in her video below.